One of the most important kingdoms of the Indonesian history, the Buddhist Sriwijaya Empire flourished along the Musi River in South Sumatra for over a thousand years ago. It is located at the south of the mighty Bukit Barisan mountain, in the southern edge of the South China Sea that is one of the busiest in the world, close to the shipping lane linking the Far East with Europe. 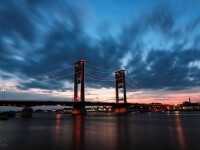 We could say many more this of this land, but today we will present you the most important tourist attractions of South Sumatra. 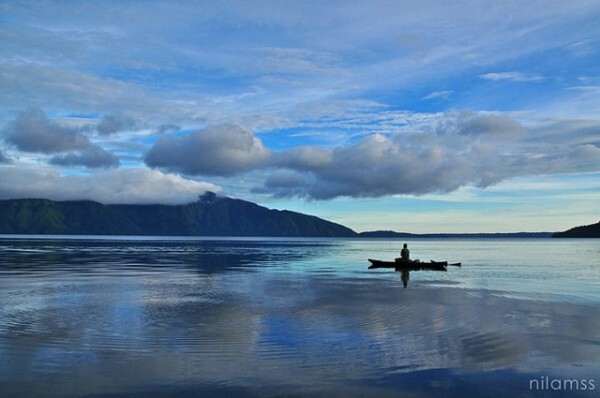 The Ranau Lake is located at 125 kilometers from Baturaja. Hills and valleys are surrounding the ​​the lake with a 8×16 km area at the foot of the Seminung Hill. The Curup Tenang waterfall lies at a two hours drive from Palembang. There are a series of waterfalls and rivers in the area. A waterfall has a height of 90 meters and a deep water basin. The Putri Padang cave is located next to the Windu village, at 35 kilometers from Baturaja. It is 156 meters long and 8-20 meters wide, with a maximum height of 20 meters. This stalagmite cave is an interesting tourist attraction and also has a brook that flows into the Ogan River. The Sembilang National Park is a 45 000 hectare wild reserve. This famous tourist attraction of South Sumatra has various birds, two types of Sumatran crocodiles and you will also find here the eastern humpback dolphin. From the Dempo Hill you have a beautiful view of the Pagar Alam tea plantations. 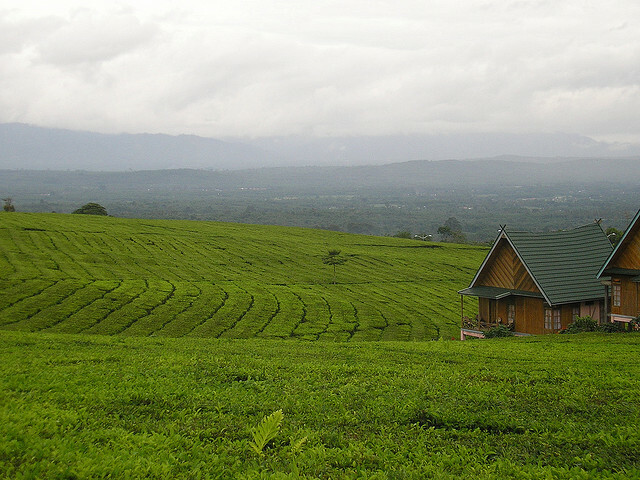 The Dempo is the highest peak in South Sumatra. From Palembangyou can get there in six hours by car (295 km). The Limas traditional houses were built near the river, but with the back to the water so the family life can be undisturbed. These very ornate wooden buildings are staying on stilts, they are 15-20 meters wide and 30-60 meters long. The columns, the door and window frames are richly carved. The Regional Museum is one of the most important tourist attractions of South Sumatra. It is located at five kilometers from the airport. It is worth visiting, it has an exhibition with more than two thousand archeological artifacts. Megaliths can be found around the village of Tanjung Aro that lies at 67 km from the city of Lahad and and at the village of Tinggi Hari located at 11 km from Lahatt. In Tebing Tinggiben can be seen a huge miller stone. 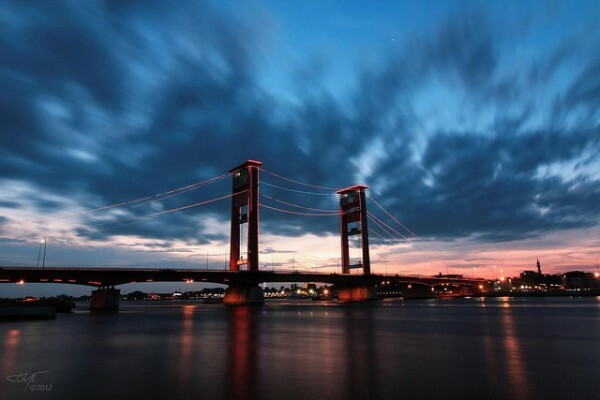 The Ampera bridge connects the two halves of the city of Palembang. Every good Palembang sightseeing includes a boat trip. The crowded floating market, the moments of the traditional life will be unforgettable experience for visitors.